“I’m not going to sit here with the benefit of hindsight and judge the very good people who made hard decisions who were running the agency in very extraordinary circumstances.” – Gina Haspel, May 9, 2018. Given that Trump has shown his enthusiasm in torturing the enemy in purely transactional terms, Haspel was asked what would happen in the event the president gave the order. She spoke of having been given a “strong moral compass” by her parents, and keeping the ship steady. The utilitarian aspect of the argument was pressed by Senator Kamala Harris, Democrat from California. Trump had advanced that old canard that torture actually worked; did the nominee agree? Haspel’s response was to transform herself into a utility enthusiast. What mattered most was the result, which was not that people were tortured, but that the United States had been served well, a defence that might have found some sympathy with other famous bureaucrats of the violent and murderous persuasion. Ergo, those soiled hands got results in the name of protecting the Republic. Haspel did make inroads among some members of the intelligence committee. She was evidently a character of “great character”. 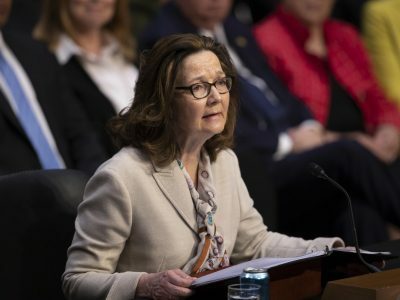 (Wyden was not questioning Haspel at the time) The outcome was swift and violent: committee head Senator Richard Burr ordering the Capitol Police to frogmarch the one time chair of the National Intelligence Estimates out of the chamber. 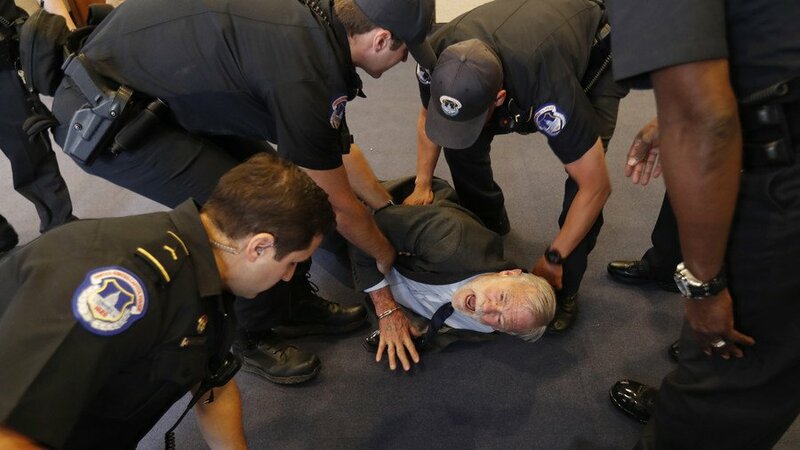 Ray McGovern apprehended by the Capitol Police out of the court hall.